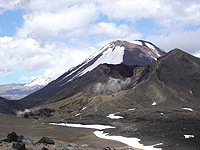 All of the North Island in 12 days including the highlights of the 6 day tour plus Mt Tongariro, Mt Taranaki and the Bay of Islands - superb! Explore the highlights of the South Island in 9 days and some of the best driving in the region. All of the South Island in 13 days spectacular days. Christchurch to Auckland via all the most spectacular scenery and driving roads of the South and North Islands in 14 days. The best of the best. 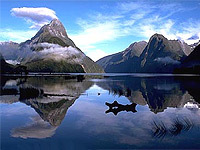 See all of the best of what New Zealand has to offer! Kia Ora to The Land of the Long White Cloud! If there’s one dream destination for drivers worldwide it has to be New Zealand. Breathtaking landscapes and a spectacular natural world combined with the amazing Maori culture. Self Guided Tours make planning your trip easy...! Organising a tour in New Zealand couldn't be easier. These complete packages provide everything you need for your tour. Beautiful 3.5/4 star accommodation and a full itinerary with route, distances, things to see on the way and background information on each area. You'll make the most of your time on holiday by ensuring you see the best your route has to offer. It's not the case with all tour operators but our Self Guided Tours include accommodation in good quality 3.5 to 4 star hotels, resorts or B&Bs. They have been hand-picked by us based on their oustanding service and location. Accommodation is for one or two people sharing and this means there is no extra charge for your pillion passenger! Compare our prices to others and you'll see that our tours offer supreme value for money! We can tailor the tours just for you (number of days, accommodation before and after, side trips, adventure activities etc.) and so ask us to adjust things to suit you. Use us as a travel agency resource; we'd be very pleased to help! These Self Guided Tours will lead you through the most beautiful landscapes New Zealand has to offer. For more info click on the tour below, or select from the menu on the right. If you're unsure which one's right for you just ask us! We've travelled the routes before and are always eager to share our experiences. You may wish to spend a bit of time in Auckland or Christchurch at the beginning or end of your trip. There's so much to see and do; just ask and we'd be pleased to help you plan your time. Our itineraries are documents crammed full of information about routes, distances, things to see on the way and background information. They'll help you make the most of your limited time on holiday so that you get to see all the best spots in each area. There are tours lasting from three days to a month or more and we can even tailor the tours to suit your own specific requirments. If you're unsure which one's right for you just ask us! We've travelled the routes before and are always eager to share our experiences. 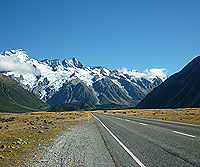 We're waiting to help make your self drive tour in New Zealand one to remember! 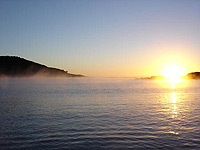 The best of the North Island - Coromandel Peninsula, Bay of Plenty, Maori culture, Art Deco Napier, fly-fishing on Lake Taupo, beautiful national parks. See the areas in which New Zealanders take their holidays! Simply the best of the South Island. You'll see all the highlights including Milford Sound, Queenstown's wild adventure rides, the stunning Fox Glacier and one of the best mountain roads you're likely to drive. Visit the jaw-droppingly beautiful Milford Sound, enjoy wild adventure rides in Queenstown, see some of the most prolific glaciers in the world, desolate beaches on the rugged Westland and delightful bays, islands and waterways in the north. 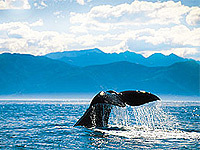 You could also enjoy some whale-watching! The best of New Zealand in 14 days! You'll start in Christchurch and explore the stunning South Island before crossing to the North Island via ferry. Then it's on through North Island highlights such as Lake Taupo and the Coromandel Peninsula before you end your tour with a glass of fine New Zealand wine in Auckland. The name says it all - the Ultimate New Zealand tour! Starting and ending in Christchurch (or Auckland, if you prefer) this tour visits all the attractions of New Zealand and takes you along the best driving routes. © Copyright 'Drive Round NZ' 2011 - The reproduction or re-use of any information provided on this website including [but not limited to] documents, images and sounds is strictly prohibited without permission from the copyright owners.